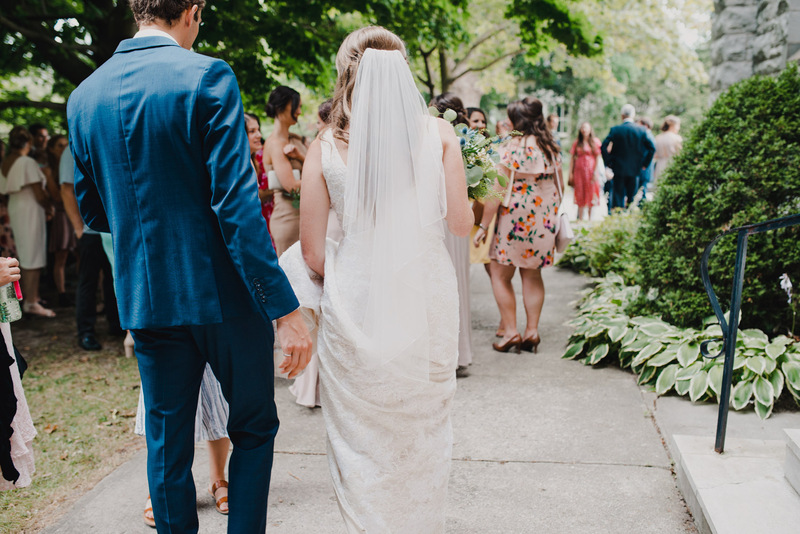 When Cailin and I first spoke and she told me that her and Brett had met playing on the same innertube waterpolo team in university and she included “(bathing caps were involved)” I knew right away that they were my kind of people! 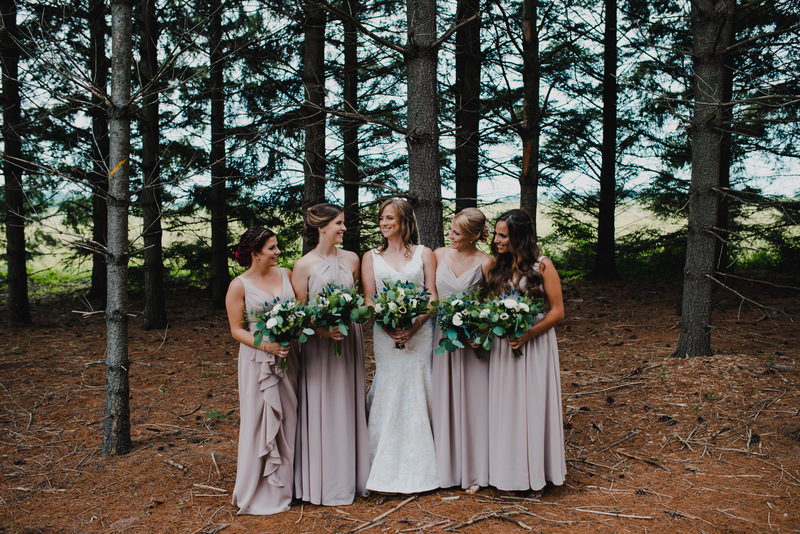 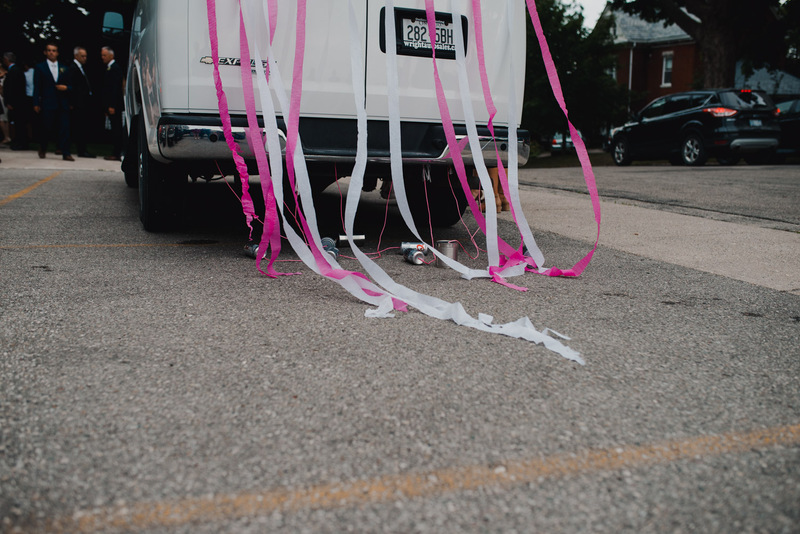 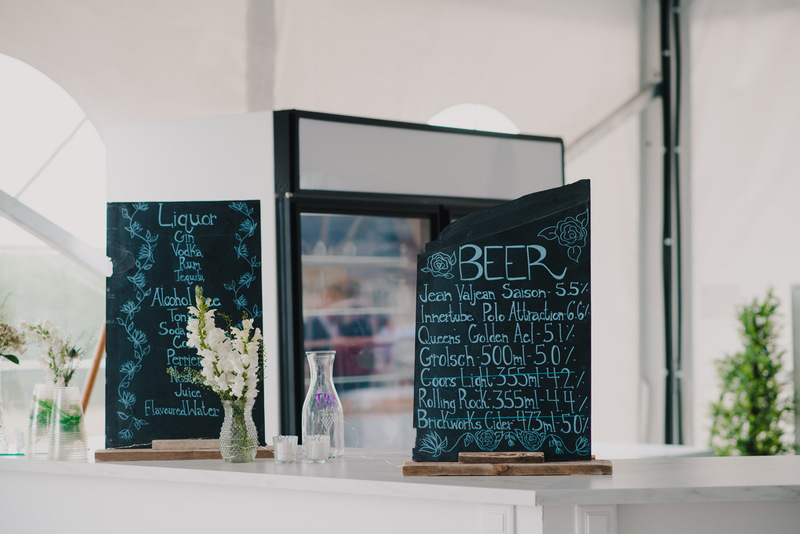 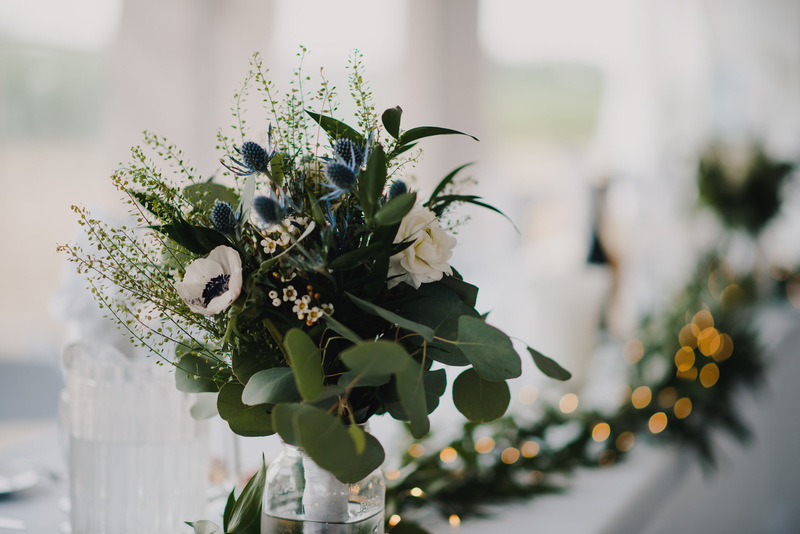 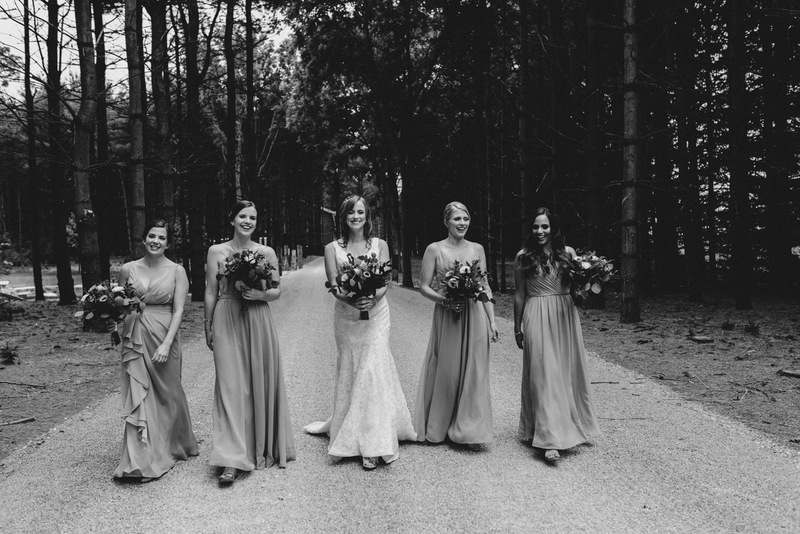 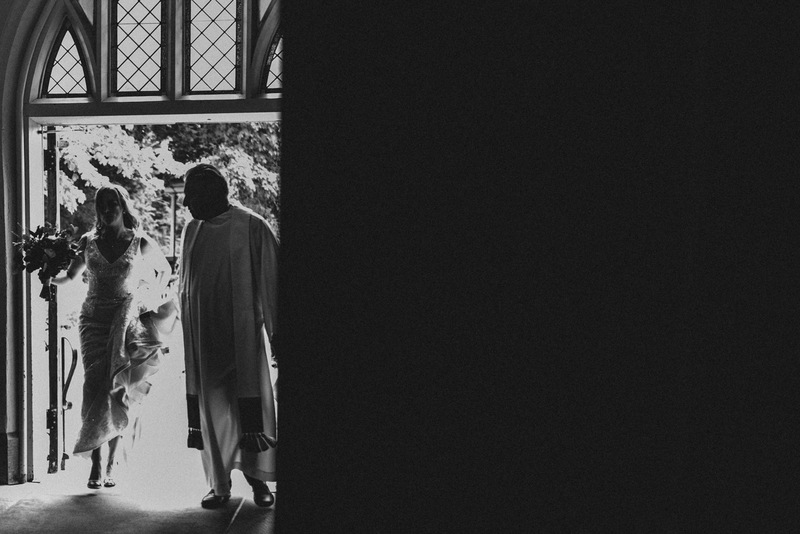 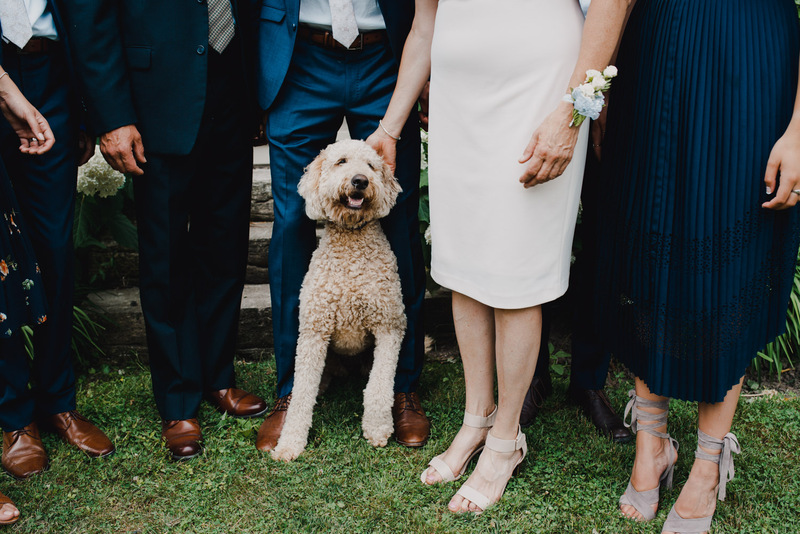 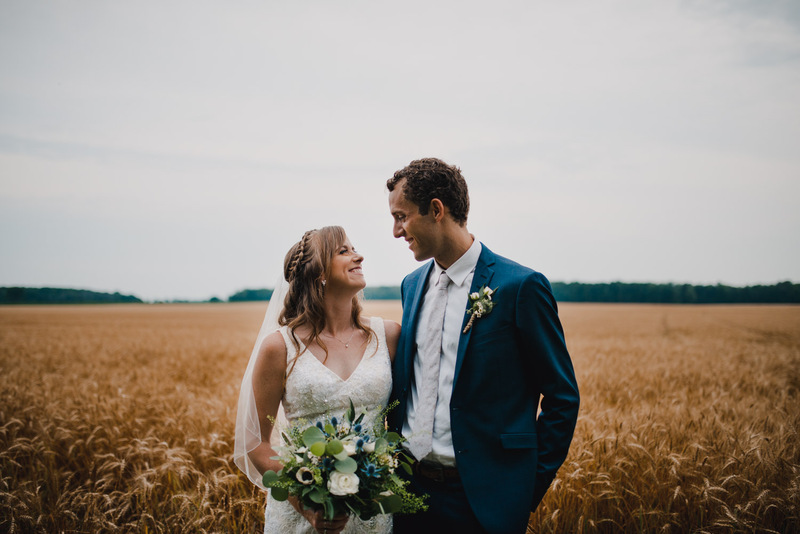 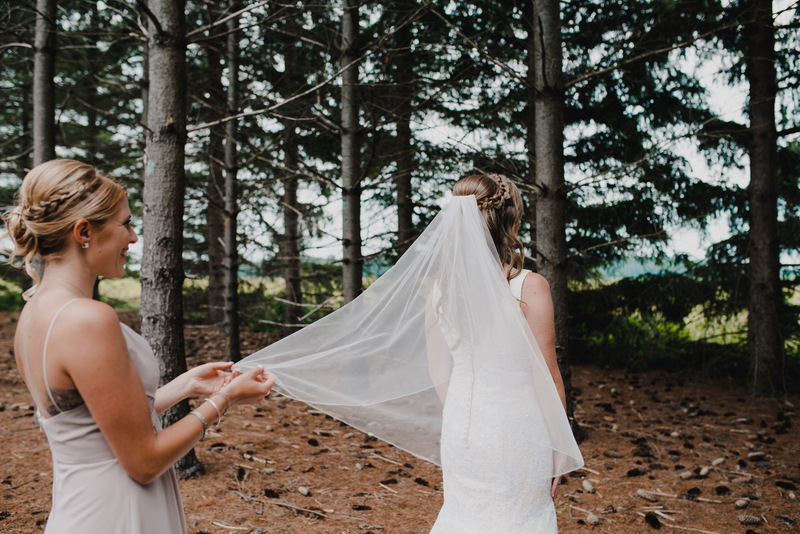 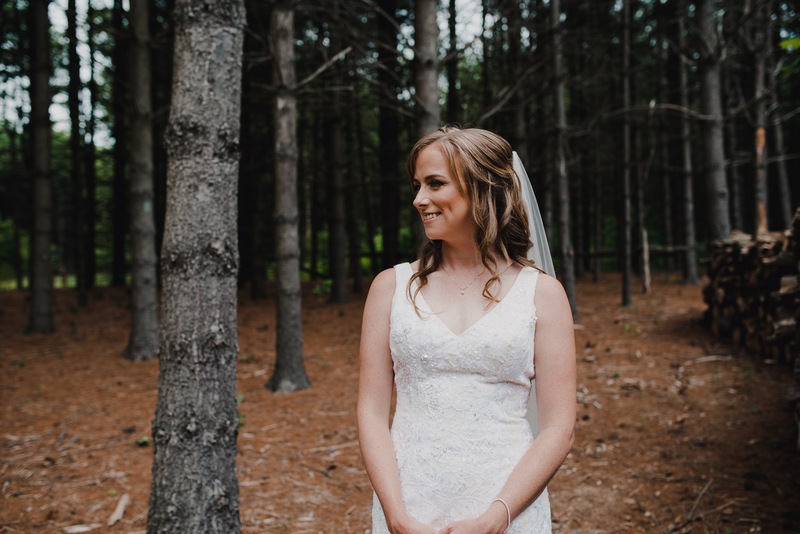 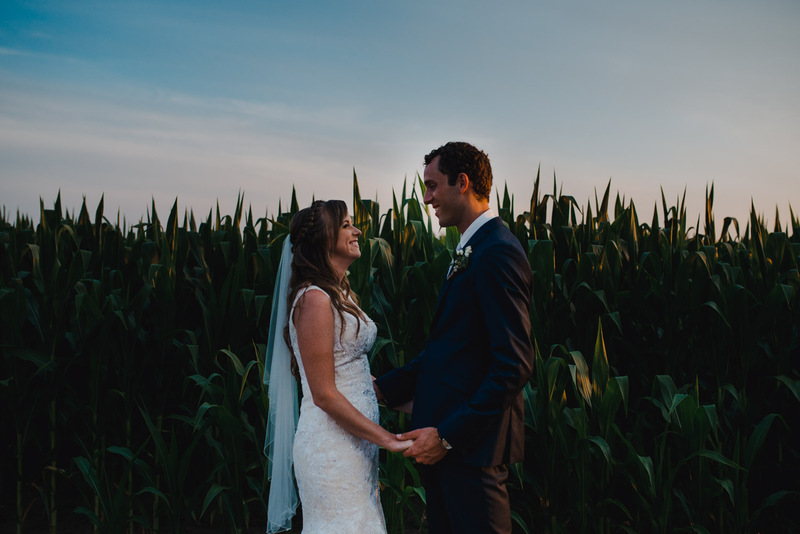 This rustic country wedding at White Spruce Acres in Southern Ontario was incredible! 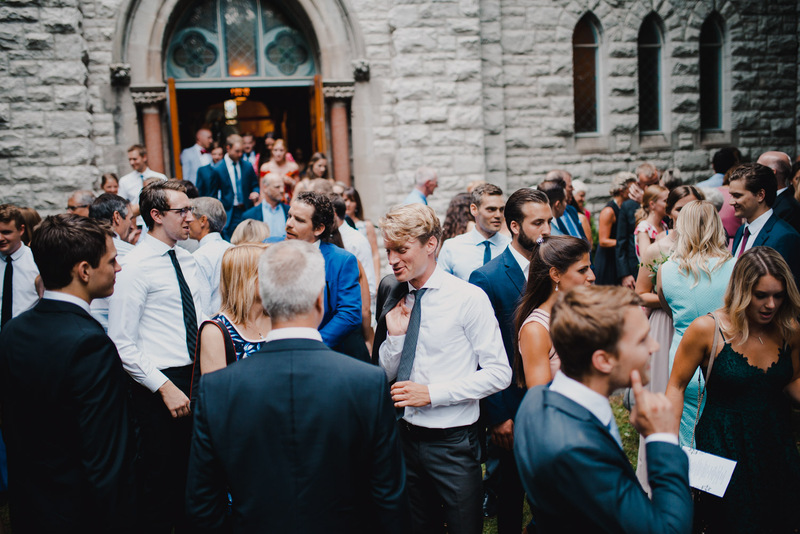 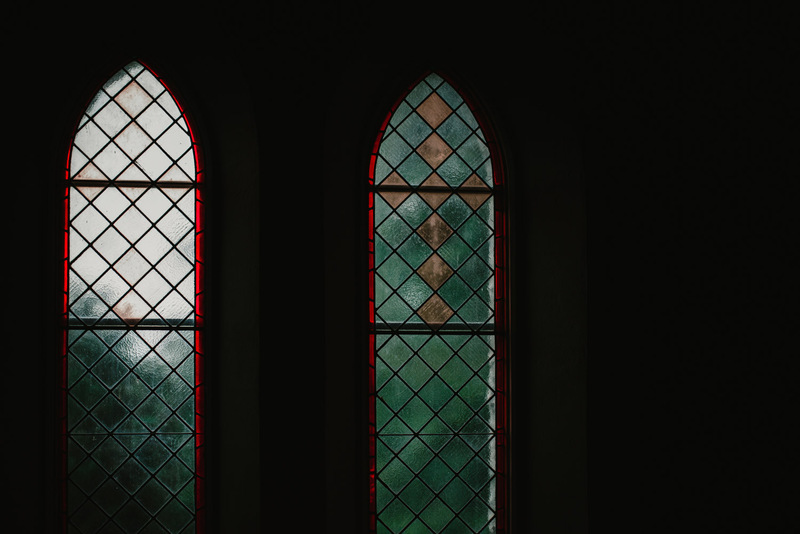 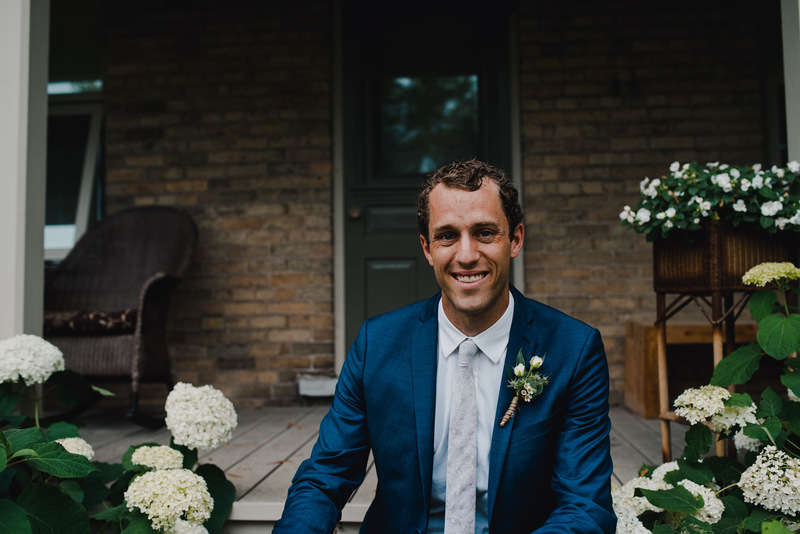 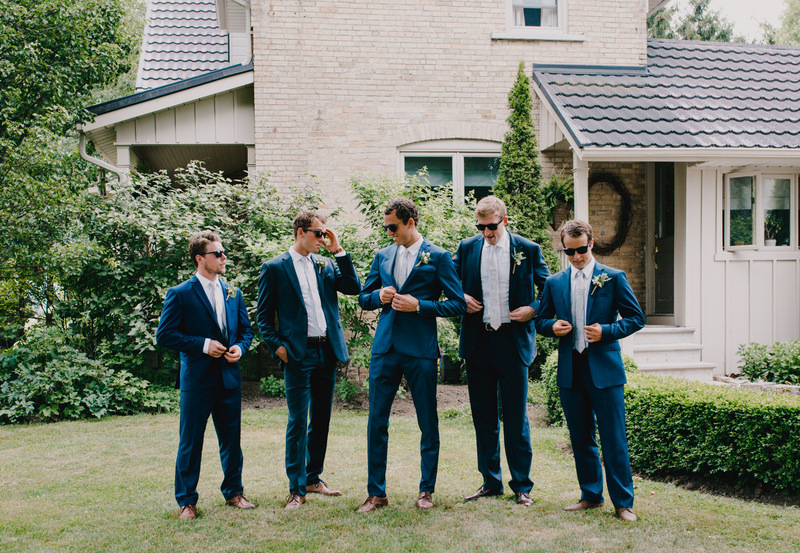 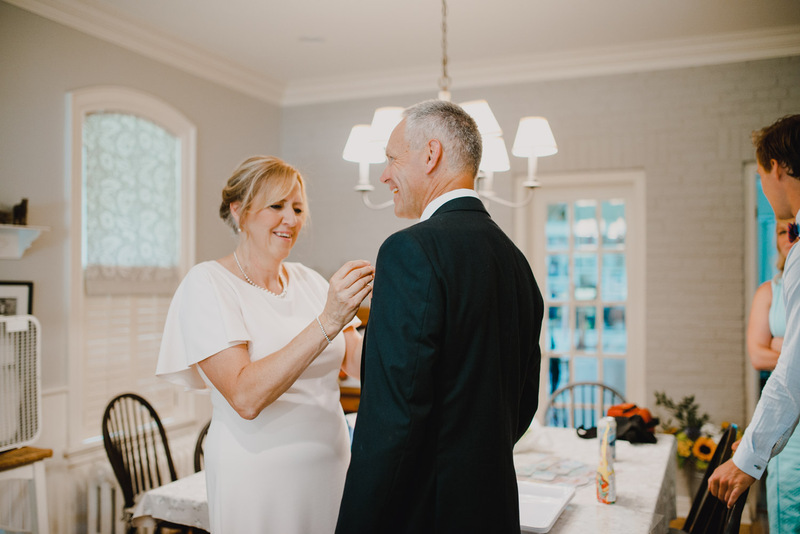 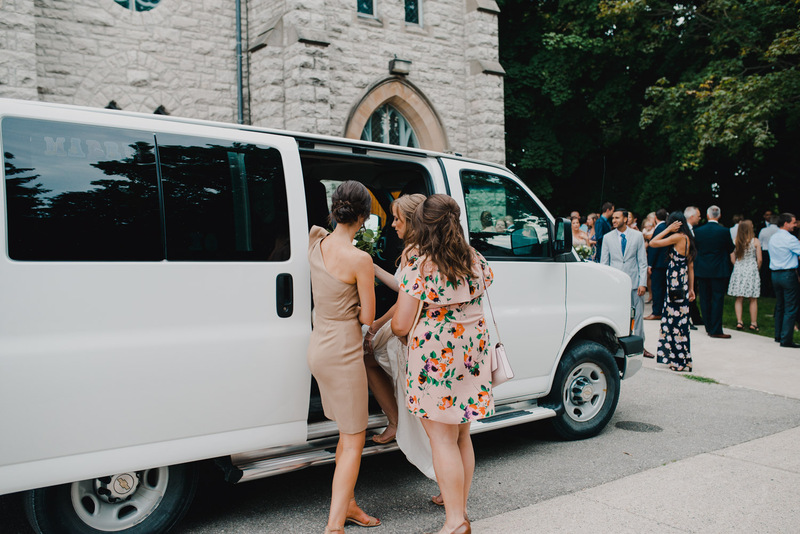 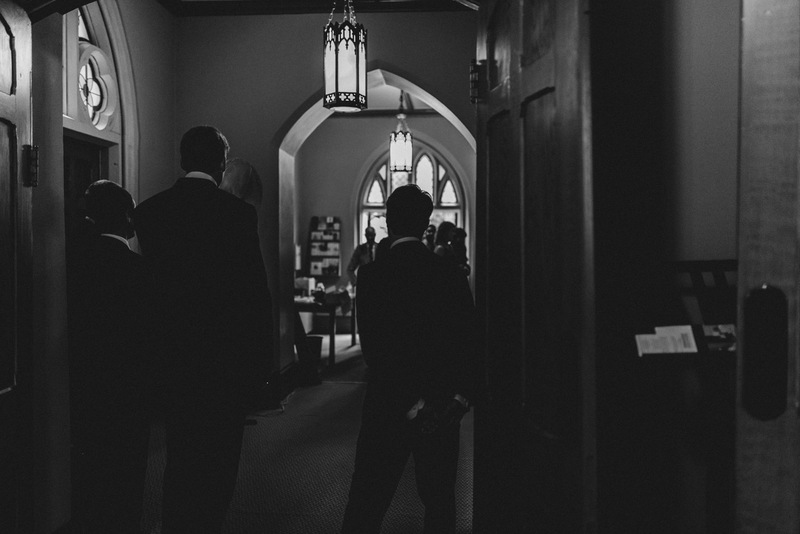 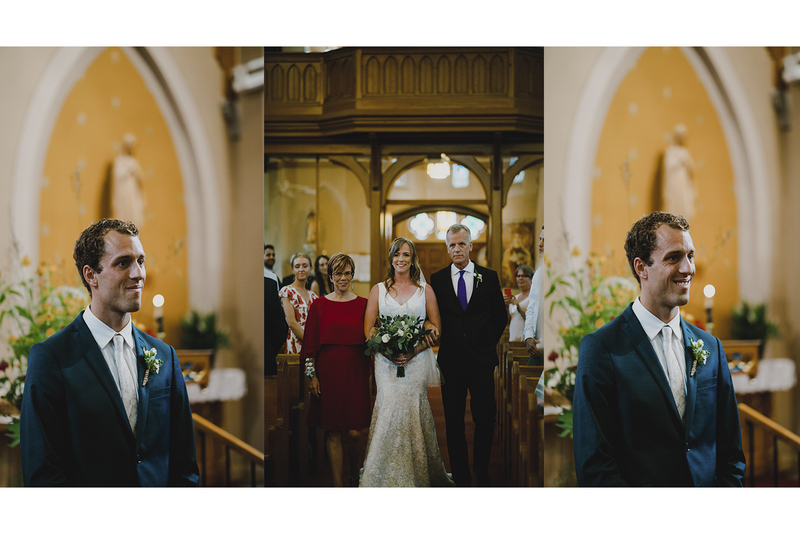 Brett’s family lives in an absolutely beautiful farmhouse in St. Mary’s, Ontario and I got to hangout there with him and his family and groomsmen before heading to Whispering Pines Retreat where Cailin and the girls were getting ready. 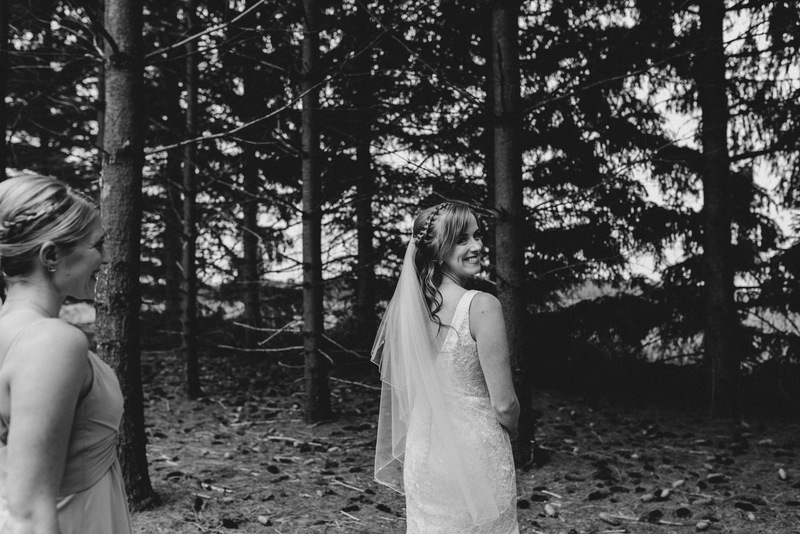 The property was amazing and we had so much fun taking photos in the woods there. 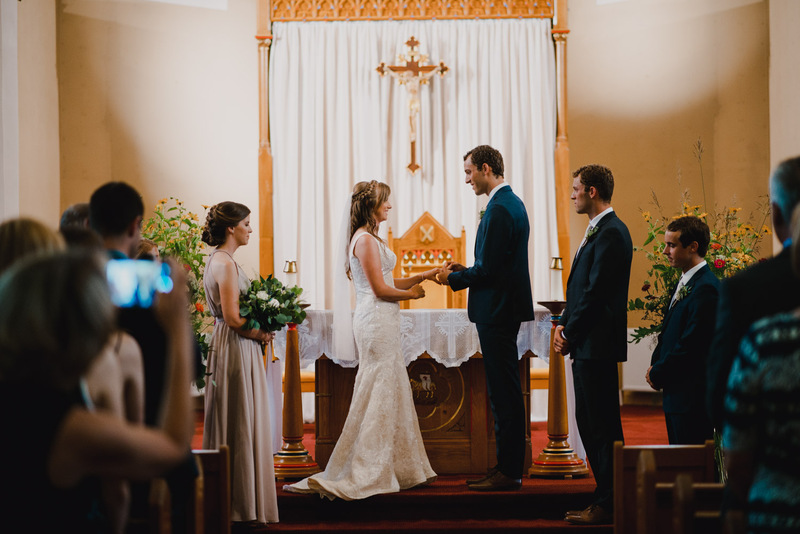 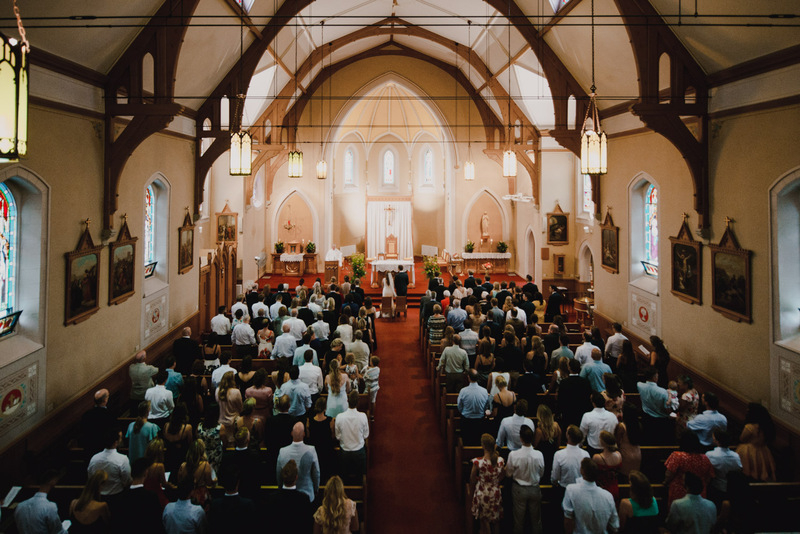 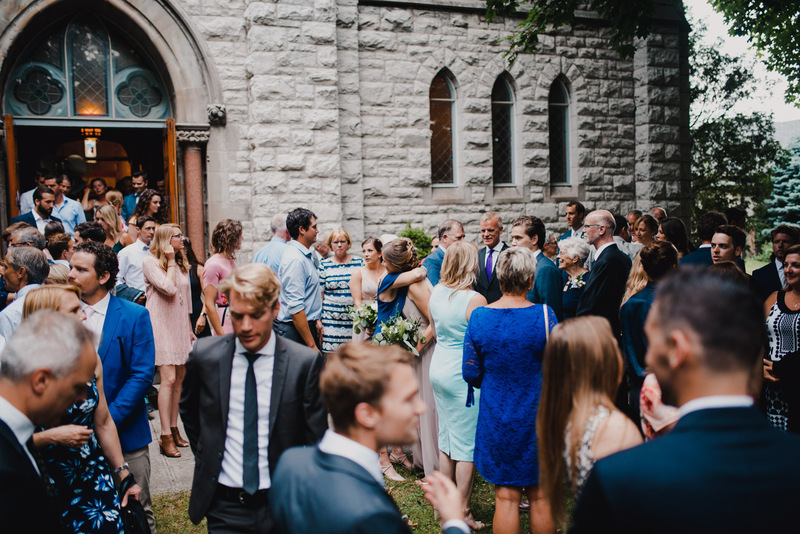 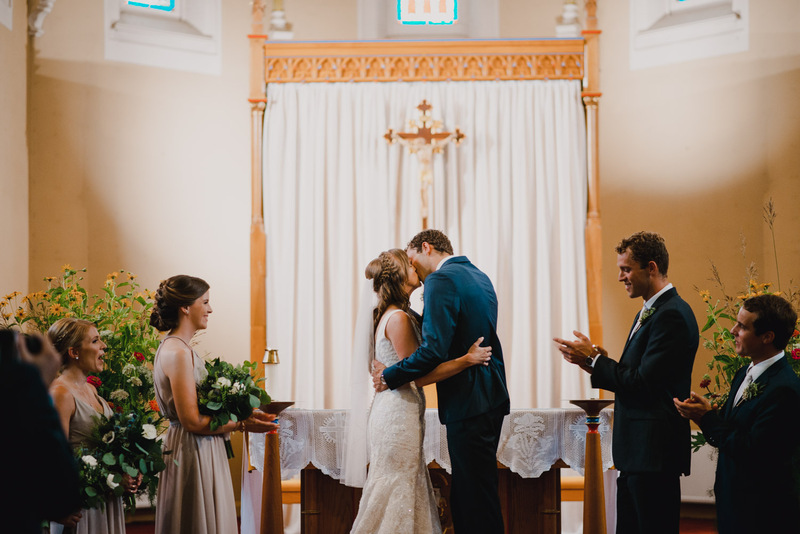 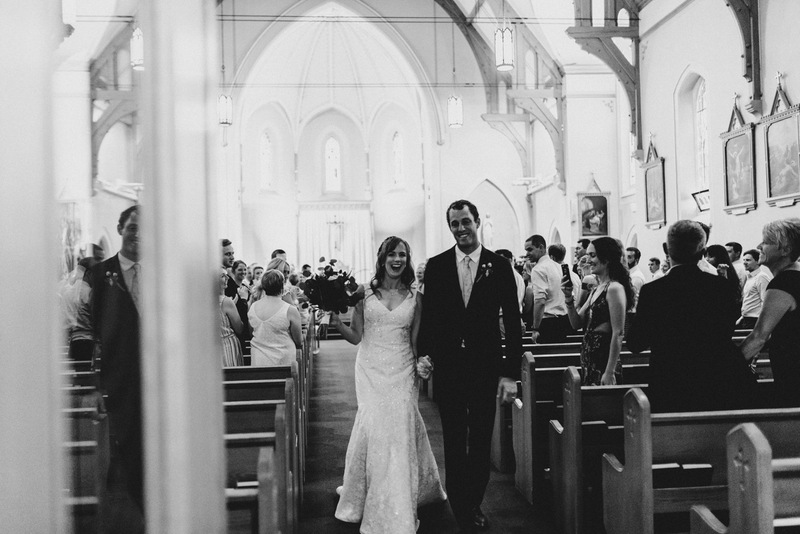 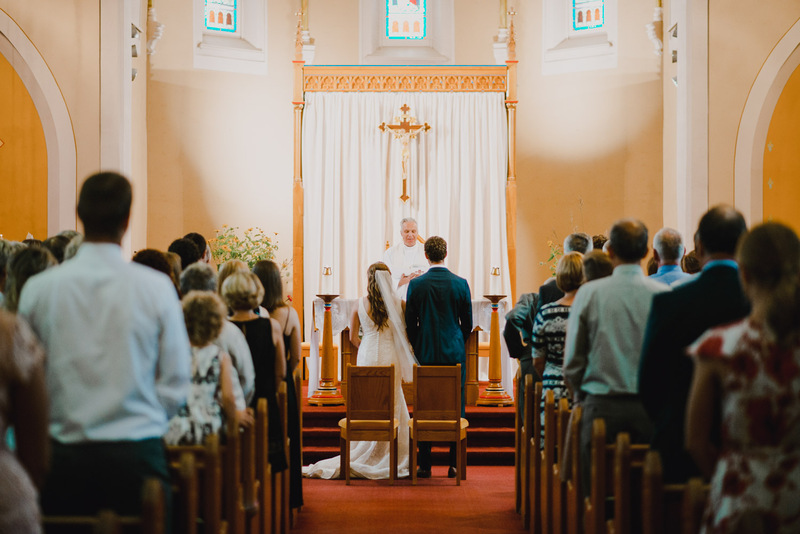 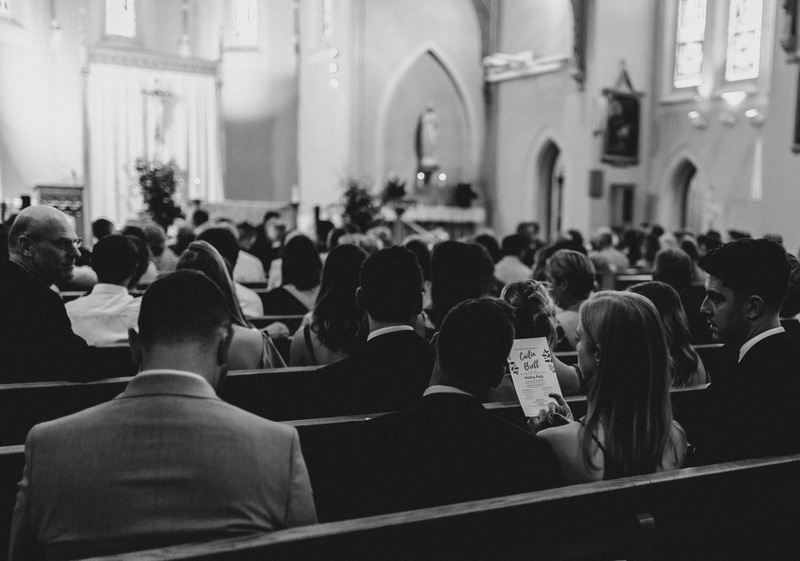 Their ceremony was held right in the cute little town of St. Mary’s, at Holy Name of Mary Catholic Parish. 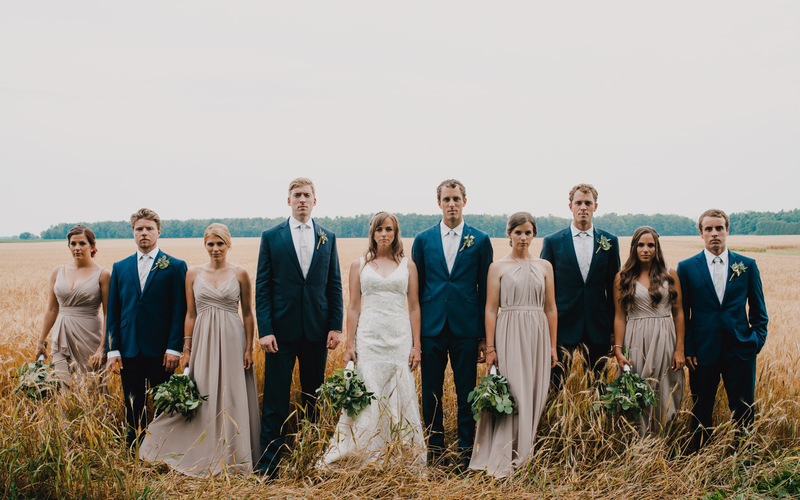 After the ceremony, we went back to the farm and the wedding party helped make all of my “American Gothic” photo dreams come true! 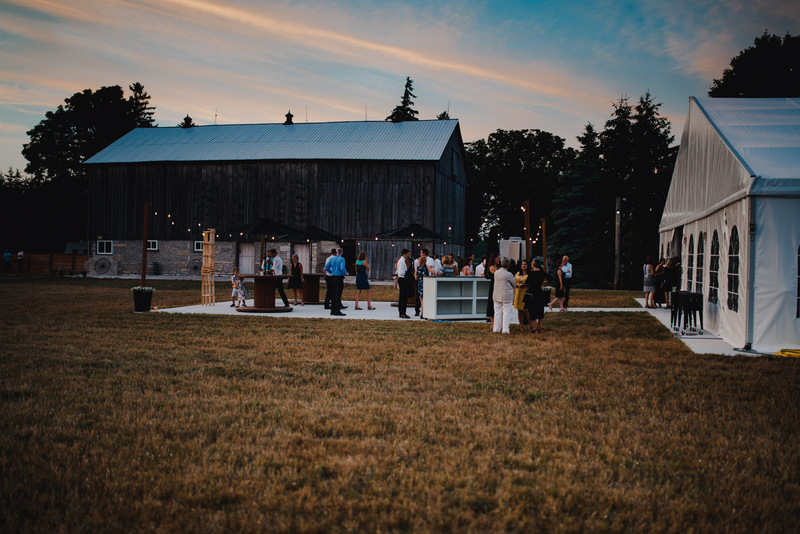 The dinner and reception were held at White Spruce Acres and it was a blast. 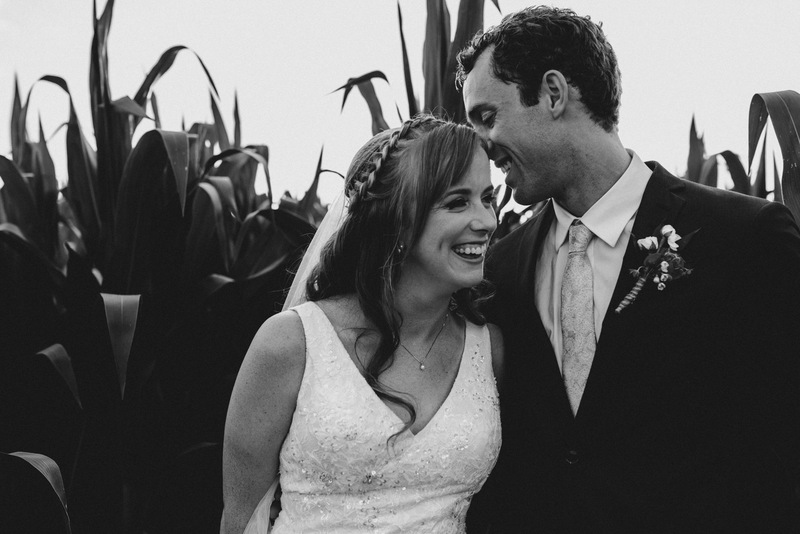 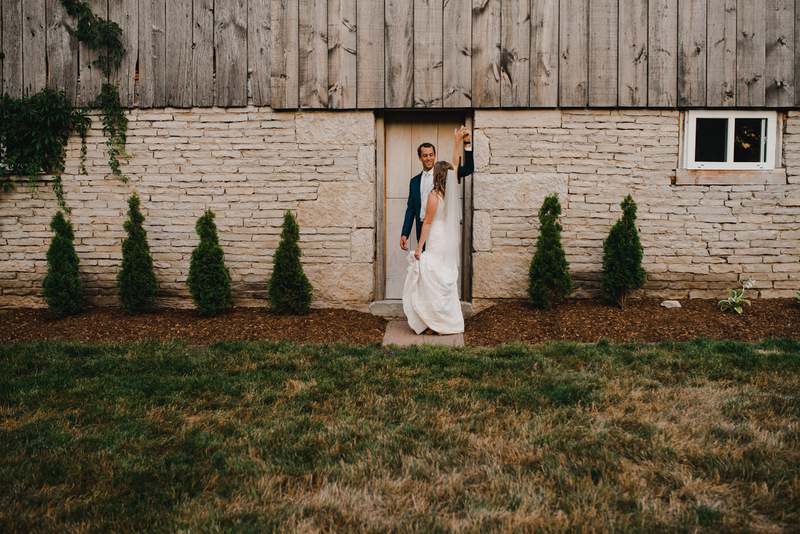 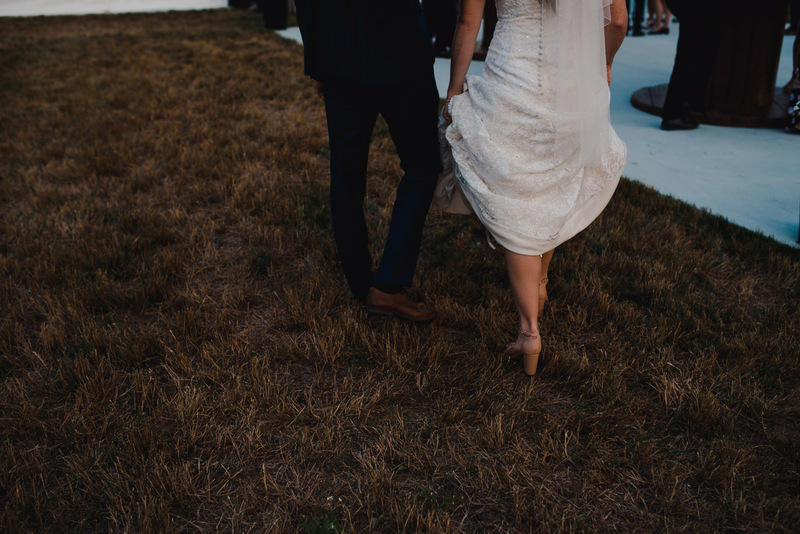 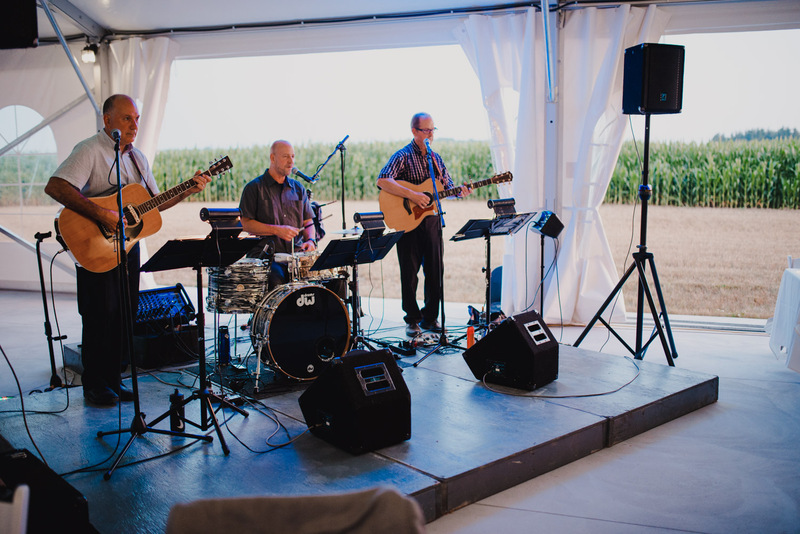 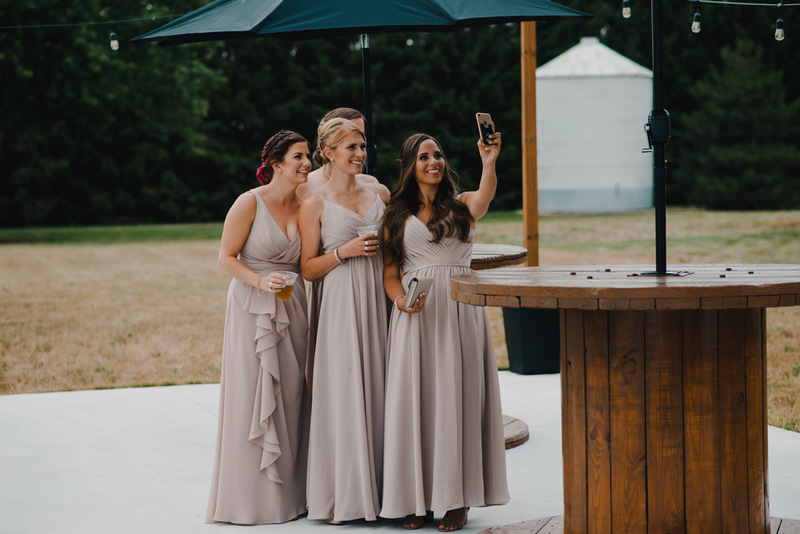 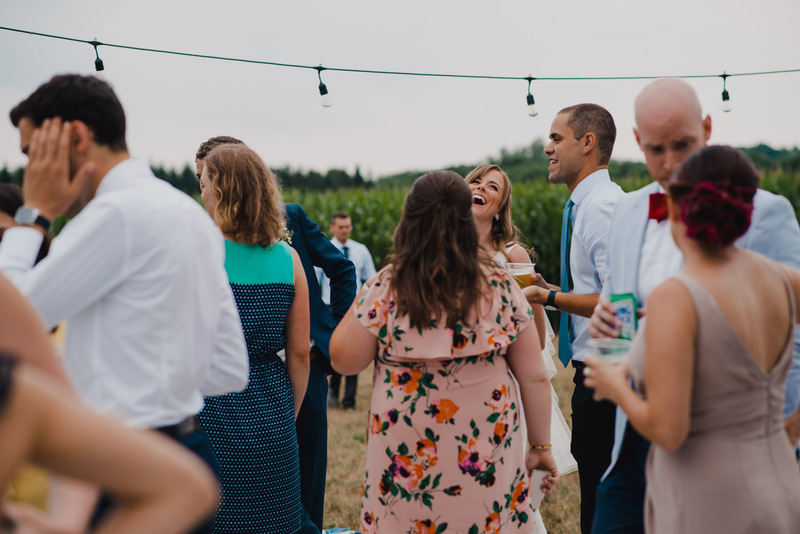 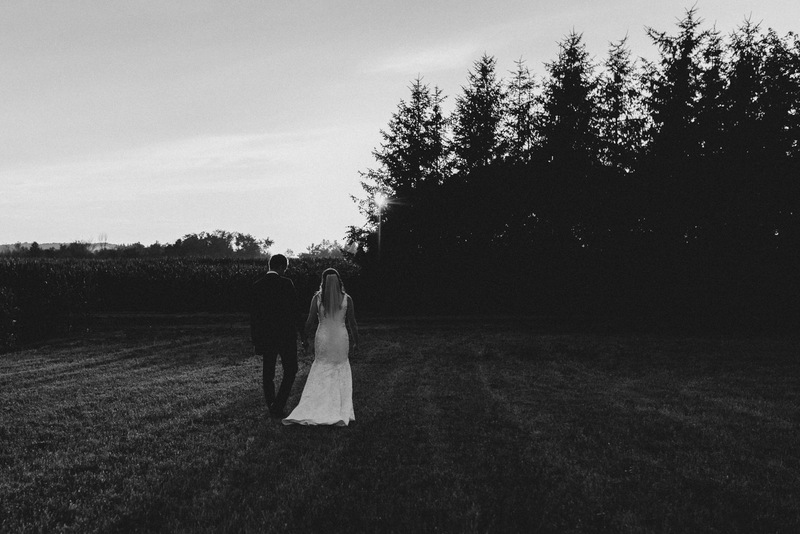 They had gorgeous cornfields, fun lawn games for the guests to play during cocktail hour, and a beautiful old barn – it was one of my favourite venues to date for sure! 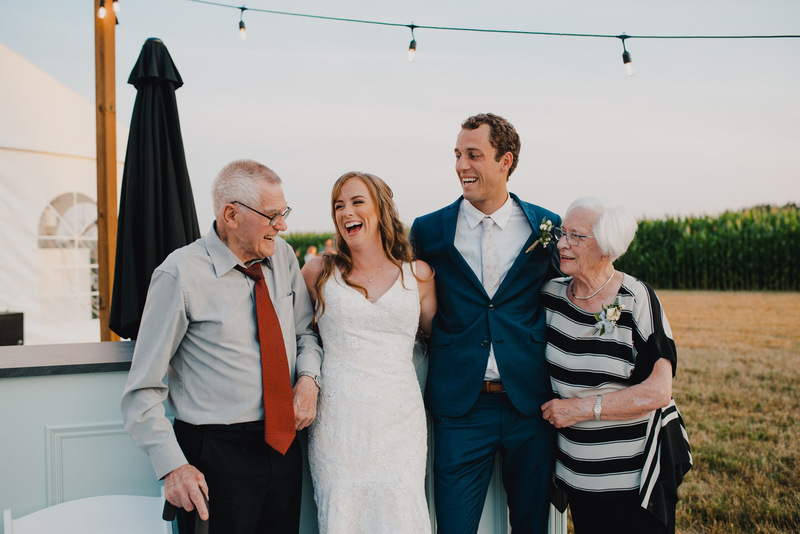 Dinner was delicious and I cried several times during the speeches, mostly because I was laughing so hard but also because of how much love all of Cailin and Brett’s family and friends shared for them and how excited they all were! 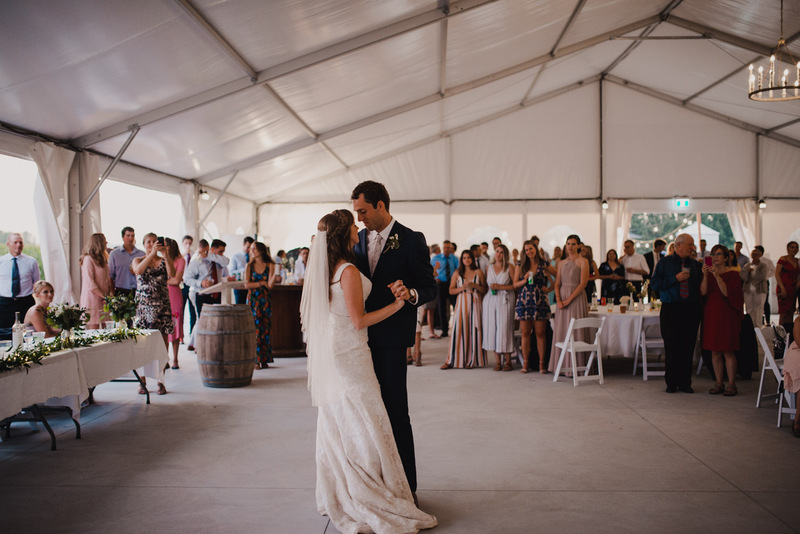 After dinner, Cailin and Brett had their first dance before the party kicked off with a wicked sunset and a live band – I was sad to go at the end of the night! 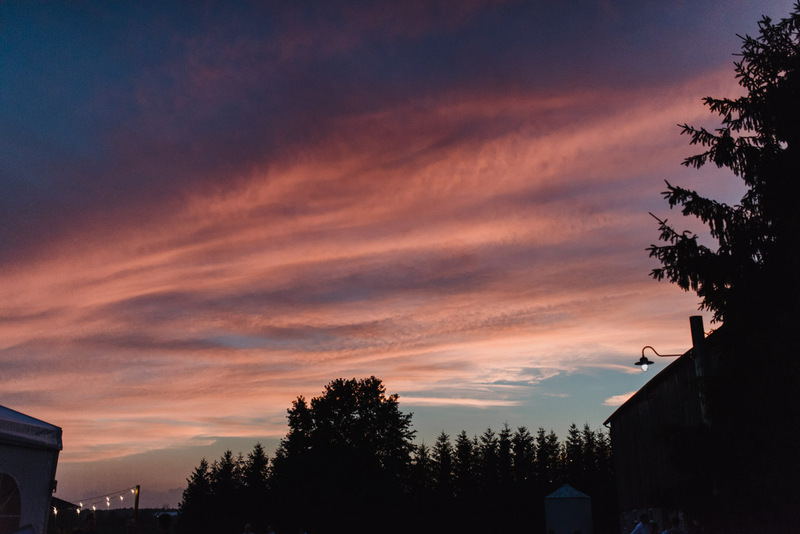 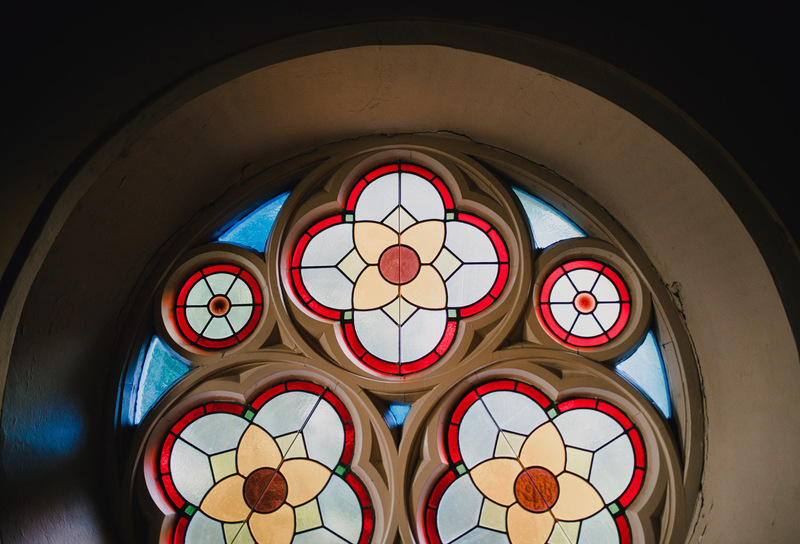 Want to see more of Southern Ontario’s beauty? 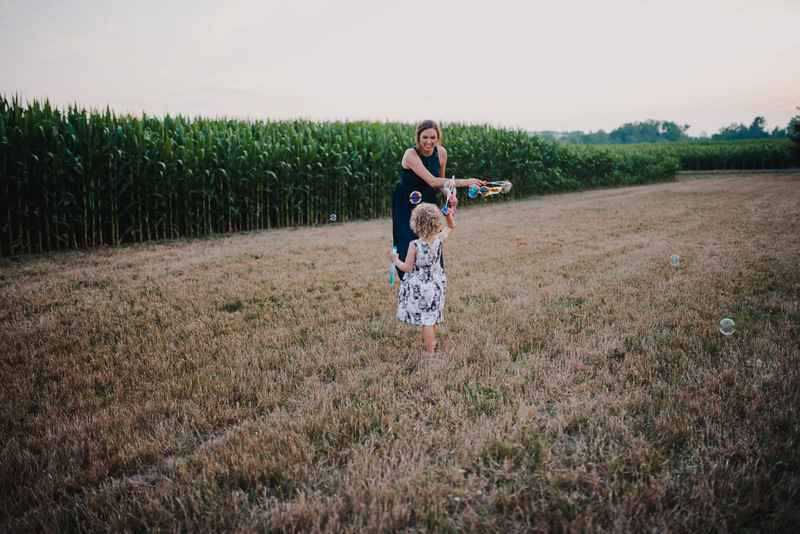 Click here to see one of my favourite Lake Huron engagement sessions!